Moving to a new city doesn’t have to be overwhelming. In fact, with the right information at the click of a mouse, your relocation adventure may be a pleasure. That’s where having a wealth of Las Vegas info comes into play. With so many decisions to make and deadlines to meet, understanding who to contact has never been so vital. The right timing helps, too. Making a list of things to do and spreading them out over a manageable time frame is absolutely essential in making Project Relocate Las Vegas a success. This Las Vegas relocation timeline helps put everything into perspective. Our online Las Vegas relocation guide can help you to plan all the logistics ahead of time so that you know exactly what to do and when to do it. We provide you with a detailed breakdown of the steps to take from 12 weeks until your relocation date. And with our comprehensive and current list of citywide connections, you’ll be sure not to waste a moment searching for numbers or being passed from one office to the next. 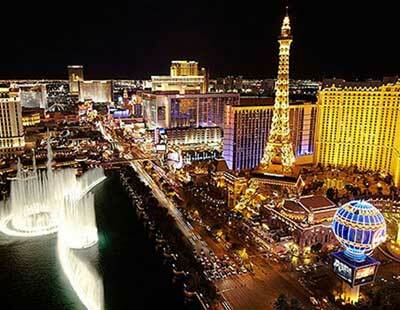 So peruse our Las Vegas relocation timeline and begin your planning. Then, use this valuable information to help you take the action steps necessary to complete your journey. This is the planning and information-gathering period when there is still plenty of time before the move begins. Equip yourself with red markers and highlighters to cross off items as they’re done. You can buy gold stars to place next to your child’s contributions to make them feel even more excited about the process. If you are being relocated by your company, verify what your company relocation policy covers and what you will be responsible for. Confirm with your employer the dates for your move, including the first day you’re to report to the new position in Las Vegas. With your spouse, establish and prepare schedules for your planning calendar. Include school schedules, important dates and any previously booked travel plans. Select or contact your local real estate agent to put your home on the market, or notify your landlord of your intent to vacate. At the same time, ask your real estate agent for an agent referral in Las Vegas. Chances are, if you’re working with a large, national firm, it will have an office in Las Vegas. Begin the mover selection process, which includes contacting the moving company yourself to confirm any moving dates discussed and to establish a direct contact at the moving company for the many follow-up phone calls that may be necessary. With a Las Vegas real estate agent, plan a preliminary house-hunting trip to Las Vegas to not only look at neighborhoods but to learn more about Clark County schools, private schools and other services. Be on the lookout for printed materials you can take back home to show your kids such as attractions, fun and recreational activities. Or better yet, bring your digital camera to take photos of homes you liked and show them other sights along the way. It will help get the family excited when you return home. If you plan to rent for an extended period, because you’re building a home or you’ll be remodeling, ask your real estate agent to assist in finding you and your family a rental home or unit. Be prepared to share your needs, including number of bedrooms and desired location. With two months to go, you’re starting to see progress and even getting a little excited about what’s ahead. Staying focused is important now as you work with your family to begin the process of cleaning and downsizing your household belongings. By now, the moving company has been selected. At this point, request any checklists or helpful aids for your family’s move. Prepare a comprehensive list of everyone you’ll need to notify of your move. Update your contacts/address book to ensure you have the most updated information. Plan to stop by your local post office station to pick up a Mover’s Guide and an Official Change of Address Kit, which will need to be submitted to the post office two weeks before your move. With the family, start to sort out household items and any other belongings you don’t intend to take to your new location. Plan a date for a garage sale and notify your friends. If you prefer, plan to sell your excess goods online through Craig’s list or other services. Whatever isn’t sold, plan to donate to a charity. Along with keeping track of your reimbursable expenses, contact your accountant regarding forms and information about tax-deductible moving expenses. That way you’ll know in advance what is allowable so you can save receipts. There is now additional urgency as major decisions are being made and the community is learning about your move, which will generate phone calls and well wishers. Try not to get distracted from the main event as six weeks remain. 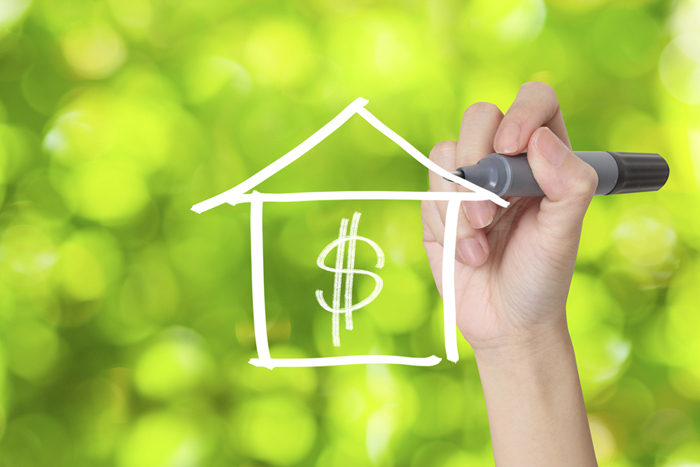 You’ve selected your new home in Las Vegas and are arranging financing. With your agent, you’ve scheduled a tentative closing date. Visit your child’s new school Web site to learn about schedules and the enrollment requirements. Are your child’s immunization records and birth certificate in order? Ask your real estate agent for referrals regarding a daycare/child care provider. Consult the information provided in this guide on what to look for in a daycare/child care provider and the options available. Let your local religious leader know that you’ll be leaving the area and ask for their referrals for names of houses of worship in Las Vegas. Select an insurance company in Las Vegas to set up coverage on your new home, its contents and your automobile. You’ll have an updated inventory list from the move, which will come in handy. It’s not too early to start the packing process, as you can fit it in when you have a spare moment. Either buy boxes or request them from your mover. Be sure to use a magic marker and note the contents of each box. Stack the boxes as you pack them with the labels visible to you. Select a new bank in Las Vegas and establish accounts including an electronic bank account, allowing you access to your records and balance at anytime. Sketch a floor plan of your new home and take room and window measurements. Determine how your present furniture, appliances and decor will fit and make a list of the things you will need to buy before you get there. In the event that you don’t have residential mail delivery, secure a post office box for mail forwarding. Now that you have a new home address, you can contact each utility company and determine any requirements to commence service (such as deposits or prepayments). You’re nearly half-way there and so much has already been done. Give yourself a pat on the back and try not to stress out about what you’re forgetting! Reassure the family that everything will be great in your new home. Get them excited about features in the new home and activities they can look forward to. Notify your child’s current school of your move date and arrange for records to be transferred to the new school system. Reconfirm the pick up and delivery dates with your mover. If you need storage, make arrangements with your moving company now. Is it your responsible to pay the moving company when they arrive? Determine payment details to avoid any confusion. Continue sorting belongings, dividing them into what will go in the van, what will go with you and what you are giving away or disposing of. If you have high value items (like antiques) that you will be shipping, obtain an appraisal and get receipts. Make travel arrangements. If you will be flying, remember that most airfares are cheapest if booked at least 30 days in advance. Okay, breathe deep and stay calm as you close in on the remaining month! It’s time to organize your garage sale, or donate items to charity. Reconfirm and verify your time schedules with your real estate agents and/or landlord. Send change-of-address cards to the post office, relatives, friends and magazine subscriptions. Be sure to notify your daily newspaper carrier. Do you or family members have a sufficient supply of prescription medication to last you past the move? If not, be sure refills are addressed before you move. Reality check time. There are three weeks left, and it seems never ending, but you’re almost there. Organize and gather all your personal records from doctors, dentists, lawyers, accountants and school. Keep them in a file box with you during the move for easy access. Reach out and network with others, such as co-workers in Las Vegas and your real estate agent for physician referrals. Notify the utility companies at your current address of your disconnect dates and your forwarding address, and contact companies in your new town to begin service. This includes cell phone, Internet, home security service, gas, electricity, water and cable TV. Now, you’re either feeling stressed out or you’re in denial! If you’re overwhelmed, ask others for help and organize an informal get-together. In exchange for help in packing and sorting, you’ll supply the treats for kids and wine for the adults. Not only will you get help, but you can enjoy spending time with good friends for the last time in your home. Take care of financial arrangements like transferring bank accounts, contents of safe deposit box, notify your broker or investment counselor and settle any outstanding bills. If you have a pet, take it to the vet to be immunized in preparation for the journey. Arrange for transportation of your pet and obtain copies of your pet’s records or licenses. If you are moving into or out of a high-rise building, contact the property manager and reserve the elevator for moving day. It’s important to drain oil and gas from all your power equipment, including a lawn mover and a power generator. Cancel deliveries and services like newspapers and trash collection effective by your moving date. Drop off the completed return of address information to your local post office and, if possible, let your neighborhood letter carrier know that you’re moving. If necessary, consider hiring a sitter for kids and pets on moving day. At last, the final week has arrived along with the last-minute thoughts about what’s still not done. You should be off work this week to address the final details and provide moral support to your family. Clean out your refrigerator and plan to eat the frozen food left in the freezer. Throw away perishables you won’t eat in the next few days. Plan to give any plants you can’t take with you to a loving home. If you are driving to Las Vegas, make sure your car is serviced and the tires are checked. Now is the time to pack your luggage and anything you are not sending with the movers. Keep it all together in your corner of your bedroom so you can add to it up until the time you leave. Use only those household items you absolutely must, like towels, sheets, pans, a coffee pot, a broom and a few tools; anything else should be packed. Plan to take a large cooler with you in which to store ice and cold drinks for the drive ahead. Plan to have your moving company pack everything that you are not taking yourself. Withdraw enough cash for the trip to handle incidentals and divide it with your spouse. You can finally relax even though unpacking is yet to begin. Congratulate yourself and your family on surviving the move. Explore the new area with your family and try a new restaurant and plan to shop at your grocery store. Preparing the family’s first home-cooked meal can be a real celebration. It’s time to purchase home furnishings, including drapes and additional furniture for empty rooms. Reach out to your new neighbors and introduce yourself and your family. Chances are, the neighbors have children of similar age, which will help your child to feel a part of the new neighborhood. Join a health club and get back to the routine that has been disrupted by the move. 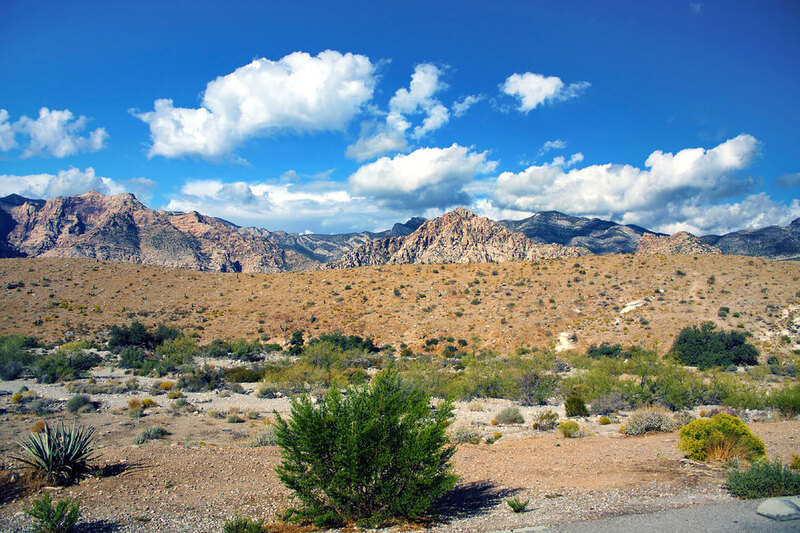 Now is a great time to peruse your copy of Relocation Resources Las Vegas to learn about regional attractions, recreation and other fun facts about living in the Valley. Within 30 days, be sure you visit your local Department of Motor Vehicles to apply for a new Nevada driver’s license and to register your vehicles. Welcome to your new life in Las Vegas!